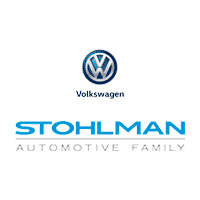 For over 80 years, Stohlman Automotive has provided value and dedicated service to our customers. We are proud to support our communities and those who serve to protect our country. Active Duty, Military Reserve, Retired Military and their dependent families are eligible to participate in the Stohlman Military Appreciation Program. This program is a small way for us to say thank you and to show our support. Again, Stohlman Automotive would like to thank you for your service. If you have any questions please don’t hesitate to call us at 855-832-9299 or fill out the contact form at the bottom. Eligible participants include active duty members and reserves of the U.S. Air Force, Army, Navy, Marines, National Guard, and Coast Guard as well as their spouse or domestic partner residing in the same household (address verification required). Participants are required to present one of the following to support eligibility: most recent Leave Earnings Statement (LES or a letter on Department of Defense letterhead from the commanding officer attesting to duty status). In addition, standard identification requirements for sale purposes are required.